Whether you choose to live in residence or commute, you will be spending most of your time on campus during your studies. That’s why considering the location and what it offers is extremely important. 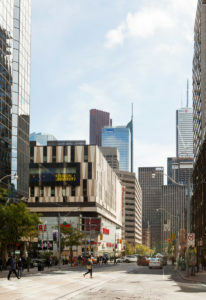 The Ted Rogers School of Management (TRSM) is located in downtown Toronto, which continuously ranks in the top ten most livable cities in the world. The school is a short walk to Toronto’s liveliest neighborhoods, including Kensington Market, the Entertainment District, and the Distillery District. You will never go hungry with some of the best and budget-friendly restaurants and coffee shops right on campus. Oh, and did I mention that TRSM is attached to the Toronto Eaton Centre, which offers an incomparable shopping experience? For commuters and those out of town, TRSM is accessible by Go Train, TTC, Greyhound and Via Rail. And Ryerson’s stunning Student Learning Centre is the state-of-the-art student space where you will be able to comfortably spend your time between classes. Some universities and programs are better known than others. However, just because a university has a big name and is well-known, it does not mean it would be the right place for you. Pay attention to what each school is known for and how they promote themselves to prospective students to see whether these messages resonate with you. TRSM is a part of Ryerson University, which is known for its innovation ecosystem. Ryerson’s Zone learning model offers students the chance to gain tangible work experiences as a part of a start-up or have their own business idea developed. The Digital Media Zone is ranked the #1 university-based business incubator in the world. The first year at university is the toughest. Most students find the transition to new academic demands and expectations very challenging. That’s why it is important to consider what support services the university you choose has to offer. At TRSM, you will take a first-year course specifically designed to build your business confidence and academic skills. 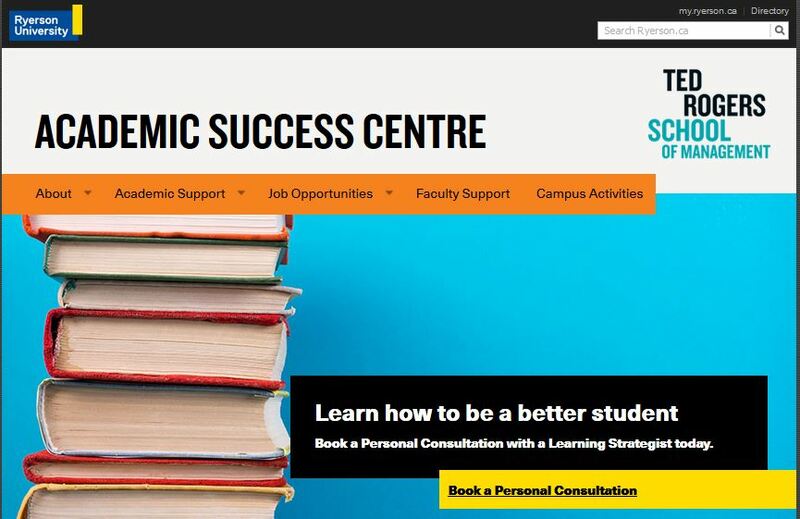 You will also have exclusive access to the Academic Success Centre where you can improve your academic skills and performance with a team of dedicated learning strategists. Our Business Career Hub (BCH) is an award-winning dedicated career centre available exclusively to TRSM students and alumni. The BCH offers customized career consultations, skill building workshops, resume writing workshops, interview technique sessions, networking events and more. The BCH also provides opportunities to enhance your technical skills through its Bootcamp offerings, such as Advanced Excel and PowerPoint, Python, Design Thinking, Bloomberg and many others. The Bootcamp offerings are continuously updated in consultation with employers so that our students gain the up-to-date skills that allow them to be competitive in the workplace once they graduate. At the best universities, learning does not only happen inside the classroom. TRSM is the leader in experiential learning. Here you will have access to over 30 Student Groups under the Ted Rogers Student Society (TRSS), and almost 100 student groups university-wide. Students can gain experience and skills through exciting networking events, conferences, case competitions, community initiatives and innovative experiential learning challenges. And TRSS is the only commerce society in Canada that fully funds up to 100% of attendance to external conferences and competitions for its students. 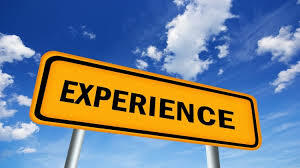 Regardless of what program you choose, the time you will spend at a university will be an incredible learning experience. But what if your program could offer you more than just interesting courses and academic engagement? What if you had the opportunity to gain work experience, try out several careers, and potentially have a job offer all before you graduate? Every BComm program at TRSM has the option of co-op, allowing you to gain 16 months of real-world paid work experience that will enhance your academic studies. The Ted Rogers Co-op program boasts a 95% placement rate with employers like Microsoft, Bell, CIBC, Deloitte, IBM, Loblaws and more. Many of our students land a job with an employer they completed a placement with before they graduate. Visiting us in person during the Open House on March 30, 2019. There will be sessions on academic programs and co-op, student panels, a fair with our student groups and much more!